I always assumed that Sri Lanka was like an extra Indian state, an island country with its own charm but one that would ultimately be reminiscent of the country I now live in. Daniel’s parents are here visiting, and for many months now we had planned to go away for a week to Sri Lanka and Kerala. I planned the Kerala portion and they planned Sri Lanka – so I really had no idea what to expect. Sri Lanka was such a surprise to me – it’s a country that has spent so many years at war and yet from the moment you land it looks so peaceful and tropical that you couldn’t imagine anyone wanting to upset that balance. And it is so unlike India in so many ways – the language, the Buddhist people, and (I hate the say it) the cleanliness that pervades. It reminded me more of South-East Asia than its most immediate neighbor. But the best part was that even in a few short days you can see an incredible array of varying cultures and sights and history. Sri Lanka is one of the more multi-dimensional places you can imagine. This was certainly true even on our first day. 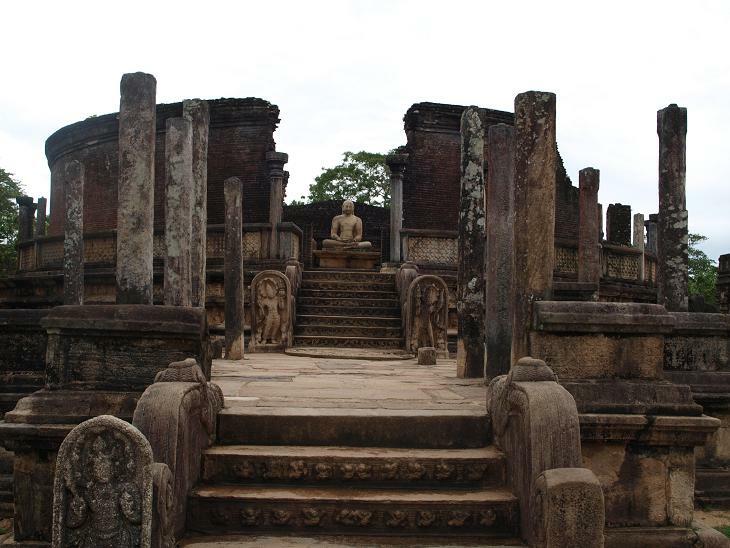 We spent the morning at Polonnaruwa – an 11th century Buddhist capital that now lies in well-preserved ruins – and the afternoon spotting elephants at a national park. To go from roaming a lost city to riding in a jeep through the jungle was a whirlwind juxtaposition. Luckily, we had success in our elephant adventures- about an hour into the journey, we came across a whole troop of elephants standing at a watering hole. It’s amazing to watch these huge animals as they roamed free and enjoyed their afternoon as much as we did. The next day we ‘conquered’ one of the true highlights of Sri Lanka – Sigiriya. 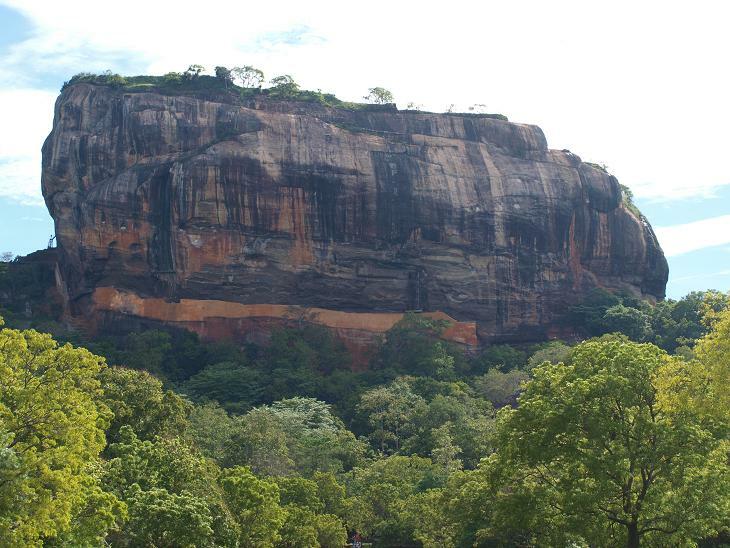 Sigiriya is a rock that formed as the molten core of a volcano. The volcano has eroded but the core remained, and a civilization flourished in the fifth century. It’s an imposing sight – a huge rock with a plateau top – and it’s hard to imagine how anyone was able to scale it so many years ago. But for this era, we were up to the challenge. You can walk into the fortified area that once was a royal garden and then you climb your way up and up until you reach the top. It’s a combination of original stairs and newly imposed spiral staircases – all frightening but all with an incredible view. Halfway up you can see frescoes that have remained in tact for at least 1,000 years. When we reached the top I think we were all exhausted, but it was victorious. Looking out, we could see across Sri Lanka and no amount of aches could take away from the moment. 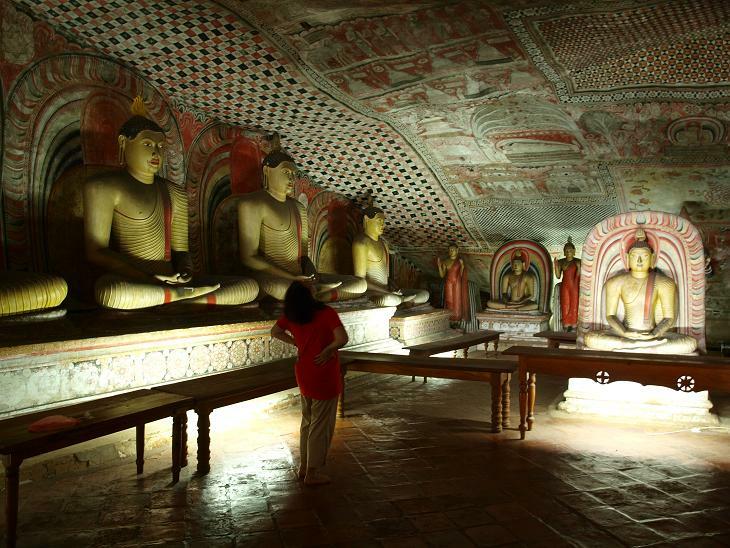 There is just so much diverse history to take in when you’re visiting Sri Lanka – in Damublla we spent time in the Rock Cave Temples, a series of caves that have dozens of Buddha statues carved starting in the 3rd century BC, and then in the 18th century every inch, from the walls to the ceilings, were painted so that no matter where you look you see a Buddha. In Kandy we went to the home of Buddha’s ‘Tooth Relic,’ where Buddhists come to pray at the resting place of one of Buddha’s teeth (though it’s hidden away view). I loved getting immersed in the history – but the real highlight (among highlights!) 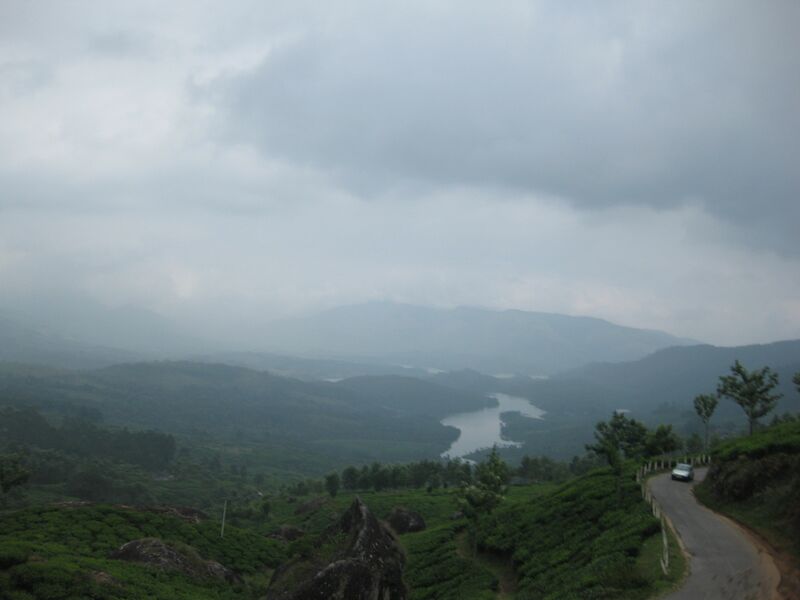 was when we switched gears, climbed altitudes and indulged my love of tea. I think its safe to say that I am an avid tea drinker. I can’t remember a day in which I didn’t consume and enjoy at least one cup. 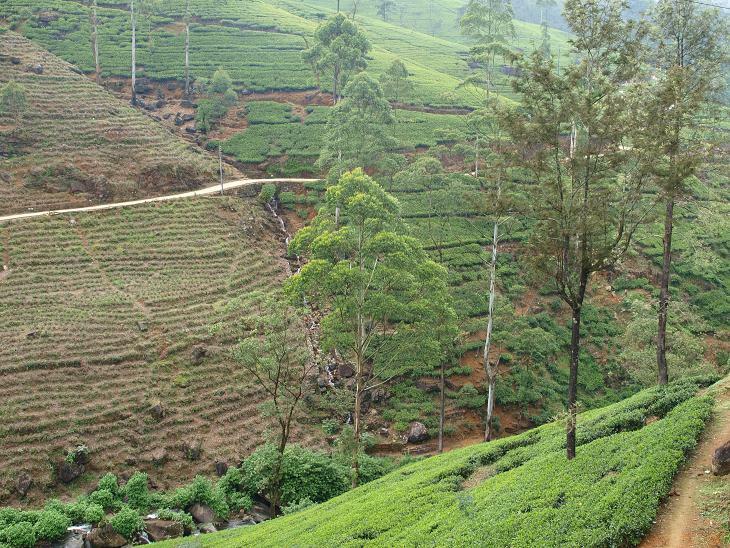 So I was quite excited to go to the tea plantations in the world’s second-largest tea-producing country. I just didn’t realize how beautiful the view would be alongside my cup of tea. As we drove around the winding roads up into the hill country of Sri Lanka I was reminded of the phrase many use when describing Kerala: “Gods country.” It seemed apt for Sri Lanka as well. Up and up we went and with each turn we saw a better view – short tea plants covering the entire sides of mountains that led down into valleys and up into the sky. We got up so high eventually that we were in the clouds – if a cloud was passing through we could barely see more than a few feet in front of us. Of course, we had to stop at one of the plantations so I could understand how they took the lush green leaves and somehow turned them into the loose tea I am so familiar with. 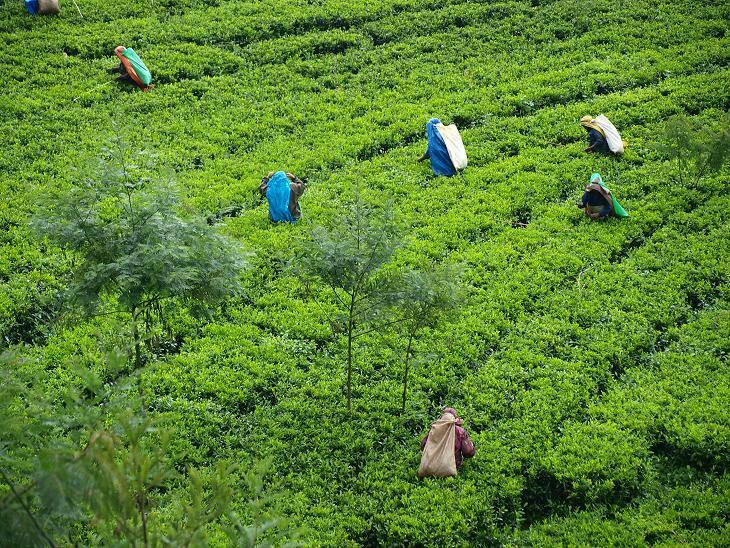 It’s amazing- tea pickers (mostly woeful underpaid Tamils) go through the fields each day plucking the top leaves from each branch of the tea bush. They are dried, rolled and then fermented. 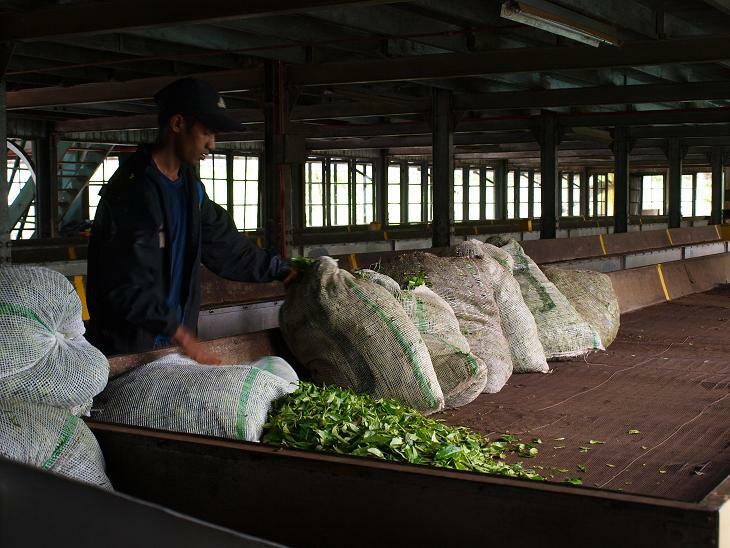 The tips of the leaves are made into a special tea, called ‘silver tips,’ and the size of the remaining leaves determines the lightness or strength of the ‘regular’ tea. It was thrilling for me to see my favorite beverage created from start to finish. It was even more thrilling to sit outside with a cup of the finished tea and a chocolate cake while looking out onto the mountains continuing to grow more and more tea leaves. It was certainly a moment of perfection for me. Less thrilling for me was Daniel’s suggestion that we wake up at 4:30am the next day in order to go hiking. I am not a hiker – I am a person who describes perfection as sitting, drinking tea, eating cake and looking out at a nice view. But I wanted to be a sport and go along with the plan – so I hiked. There was, admittedly, a good reason for the early rise- Daniel wanted to hike to a point known as ‘World’s End’ in Horton Plains national park. 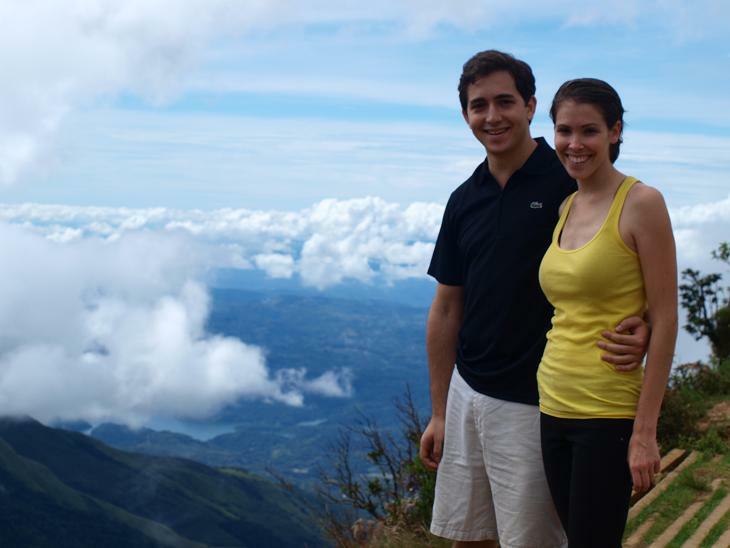 It gets its name from its stunning view and 800 meter drop. But starting at about 9am the clouds come in and the view is obscured. So in order to drive to the park and then get to World’s End in time, we needed a brutal start-time. So we woke up and went on the way – my outfit consisted of skinny jeans (the only long pants I’d brought) and three sweaters to try and keep out the early morning cold. I looked ridiculous and I felt like a hiker fraud – on the rough and wet terrain I stumbled and bumbled my way up the mountain. But we got to World’s End just in time – as I stood panting and completely winded I started to understand the place’s dramatic name. Huge mountains led down to lakes and waterfalls and a valley. And just as quickly as we had arrived, so did the clouds- it was incredible, they came up from below the mountain, like a rising force and soon the entire view was completely obscured. It would have been breathtaking if I had any breath left. It was a lot to take in in five days – a lot of history, a lot of culture and a lot of changing altitudes. 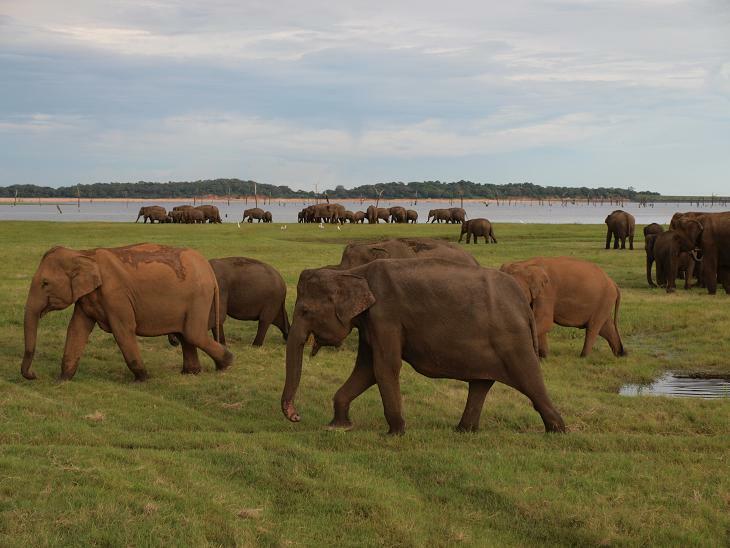 But Sri Lanka is a place one should go if you want to find yourself marveling at the world. It’s incredible to me that cave sculptures and structures and frescos have survived for hundreds and even thousands of years here. It’s jaw-dropping to see an animal whose weight is in tonnage sauntering around and kicking up grass right in front of you. And it’s hard to tear your eyes away from stunning views, whether from the top of a molten core, out the window of a car on a winding road or on the vista of a conquered mountain. But hopefully Kerala can give us a run for our money. The car swerved out of the way, just narrowly missing a group of cows lying casually in the middle of the highway. The driver looked back at me in his rearview mirror as though I was completely insane for being perturbed at his proximity to the animals. This was just everyday life here – cows lie with abandon and drivers go around them at the last moment possible. This was Udaipur, Rajasthan. Daniel had suggested we do something to get out of Bombay and relax while it was still the low season throughout India. He had found a great monsoon deal at the Lake Palace, which is one of the most famous and unique hotels in India- he had rightfully convinced me that despite still having a bit of jetlag, it would be worth the trip. India for me had only been Maharastra (the state where Mumbai is located). 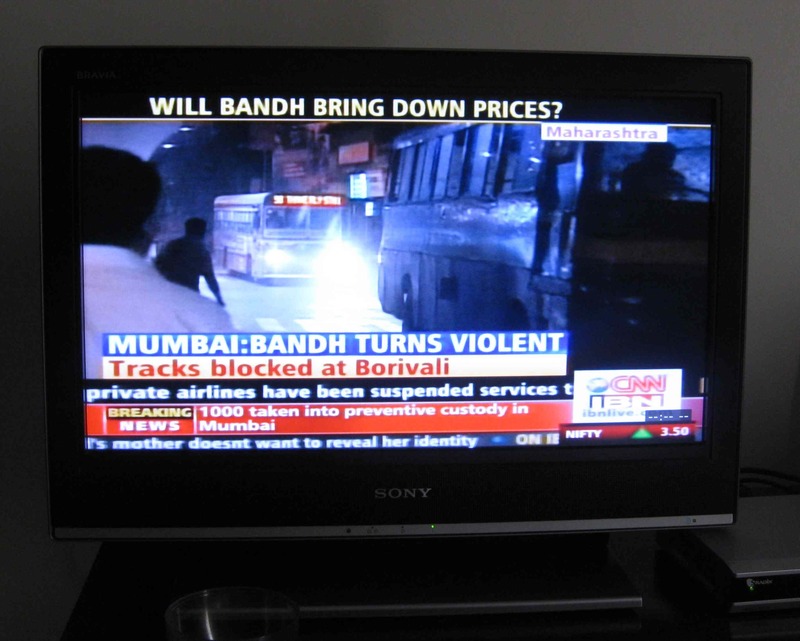 It was Mumbai and a bit of its environs. I was curious to see my new adopted country in a different light (For a sense of the streets of Udaipur, I’ve attached this video of my ride in a rickshaw, below). And Rajasthan brings to light the classic India that many imagine. The cow element was something I had come to believe was a myth – while Mumbai has cows tethered to the side of the road I had certainly never experienced the famed cows wandering through the streets. Here it is inescapable – on the side of the road, in the road, crossing paths with trucks and motorbikes, cows just stare at the people who regard them with such awe and piety. But beyond that curious Indian stereotype, Udaipur itself is a dream. It is said to be one of the most romantic cities in the world and it’s easy to see why. It’s as though Venice and India from the Raj times collided to create a city on water surrounded by hills and beautiful architecture. And the Lake Palace is the epicenter – built in the early 18th century for Rajasthan’s King (the Maharana), it is only accessible by boat and once inside it is breathtakingly beautiful. Ceilings and columns with glass mosaics lead down to marble floors. A lily pond and views of the lake come at you from every direction. It is a true testament to the beauty of Indian design and skill. We spent today wandering the city and its sights. The most notable is the Maharana’s other home – The City Palace. In present times the Royal Family rents out the Lake Palace to the Taj Hotel Chain and they have turned the majority of their City Palace into a museum. They still live in one (very, very large) section of the palace. They have also turned another lake structure, Jagmandir, into a place for dinners and weddings. It must be good to be Rajasthani royalty. The City Palace is also incredible – Indian marble columns are intricately carved and walls are inlaid with Venetian glass mosaics or Chinese tiles, all from the 18th century. The Palace is so large it was completed over 400 years, beginning in the 16th century and only completed in the 20th century. Elephant fights used to take place in the courtyards, and this practice was only discontinued in the 1950’s. Being in Udaipur is like getting to experience another world in another time. Unlike Mumbai, which is struggling to keep pace and prove its modernity, Udaipur seems to be happily frozen in its glory days (and profiting handsomely from them). It is romantic and tranquil and calming, as though each moment we’ve sat on the boat coming out to our hotel on a lake is something you can capture in time. And we will take that advice – after all, we’re not leaving ‘till Tuesday!